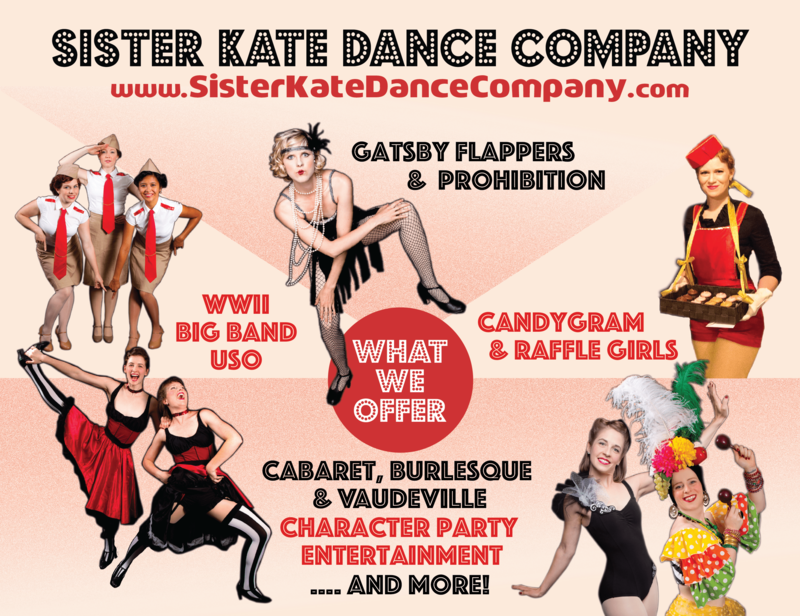 Sister Kate Dance Company is available to hire for your private party or corporate event! Check out our ABOUT page to see our full resume of clients and venues we’ve worked with. Contact us today to learn more about our services and rates.